Be the first to know about new product offerings and specials! A Toast to Texas Craft Beer! Chuy's is a an ever-expanding Tex-Mex restaurant headquartered in Austin, Texas. Outhouse has provided their apparel needs since the early '80's. 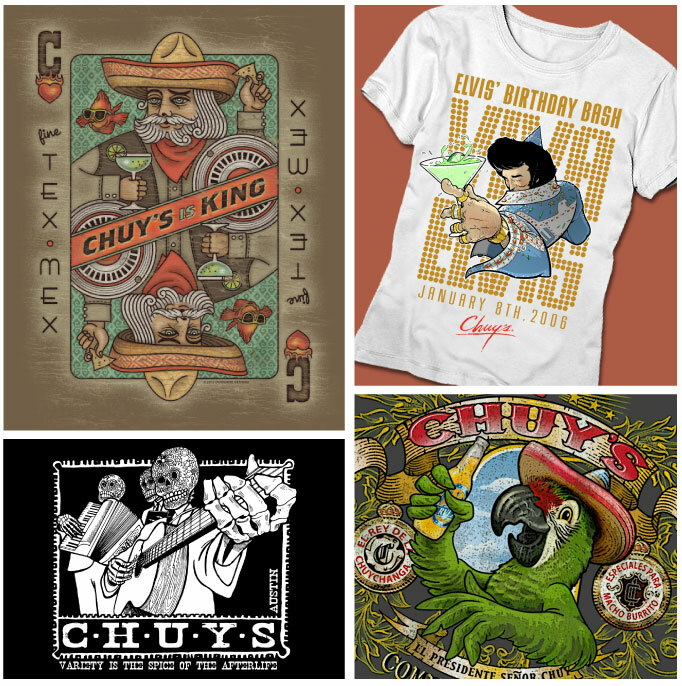 Chuy’s is always crowded, so while you're waiting and sipping on a margarita, be sure to pick up a signature shirt!